The Alcor Life Extension Foundation is a non-profit organization and a world leader in cryonics, cryonics research, and cryonics technology. Cryonics is the science of using ultra-cold temperature to preserve human life with the intent of restoring good health when technology becomes available. Deutsch provided architectural design for a lab expansion, which included demolition of portions of existing spaces. 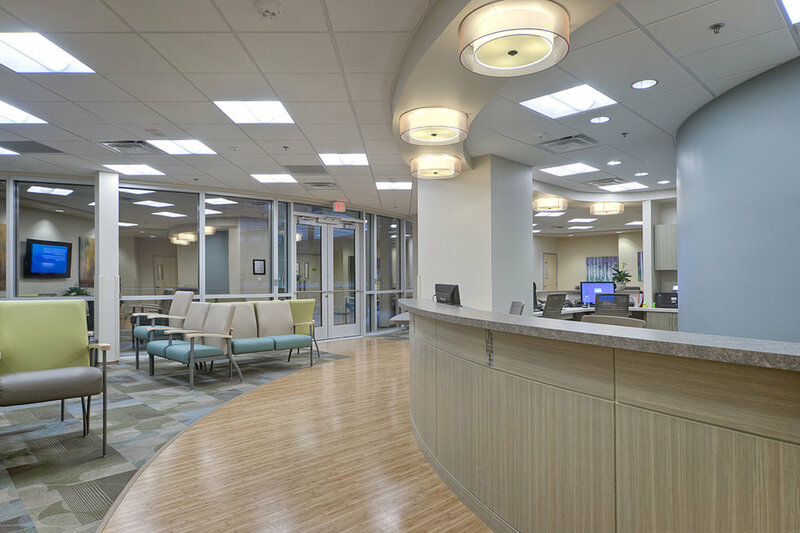 Also included were patient care bays, a new lobby area, upgraded finishes, public observation spaces, as well as power, plumbing, HVAC and lighting modifications. 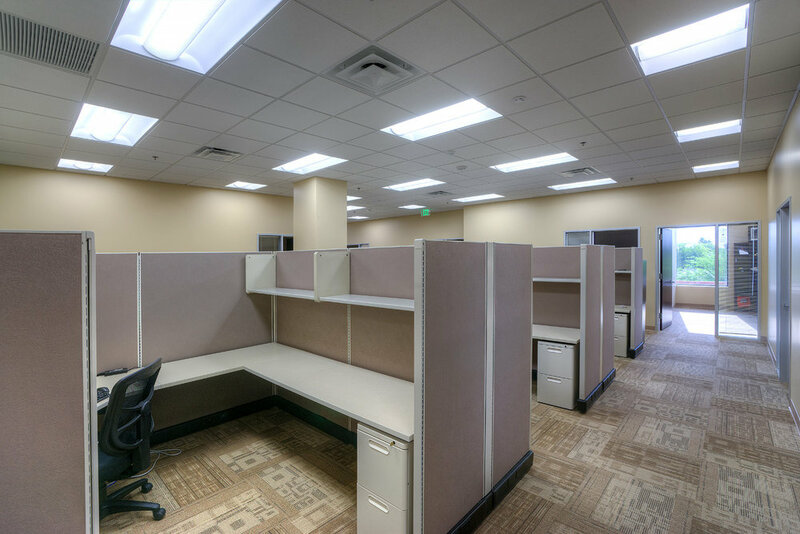 This 54,730 SF routing center is a new division for this internet-based consumer supplier located in the Tempe Research Park. The new office will attract primarily young, energetic employees who look for amenities and environment when choosing a workplace. This 2-story building, 30,000 SF on the first floor and nearly 25,000 on the second floor, has an open floor plan that allows for visual connectivity for staff management, views to the outside for all, and floods the space with natural light. The space will be used as a weather-trcking and distribution rerouting center. This tenant improvement encompassed two distinct suites with shared amenities. The women's suite and the men's suite have individual entry doors and waiting areas, but share staff at reception station. Both suites will include dedicated exam rooms, restrooms and nurses station. The shared function spaces include offices, storage, lab, server and breakroom functions, as well as a surgical suite and recovery area. 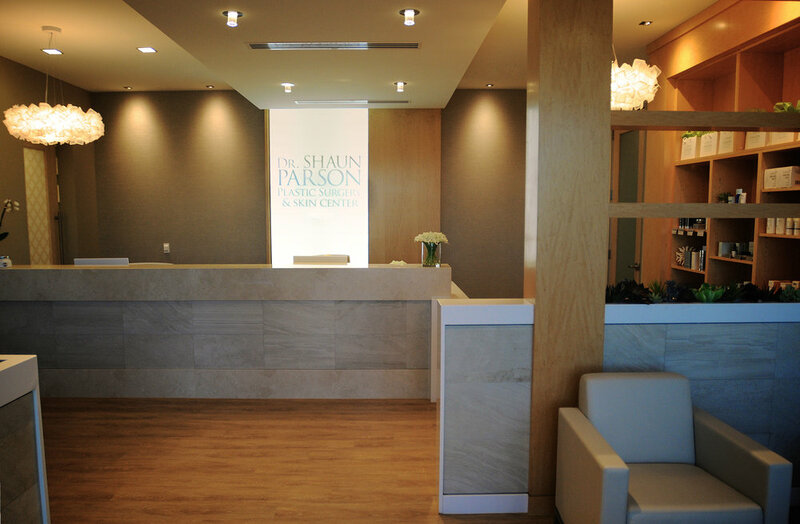 A consultation room is accessible from both the men's and women's waiting areas. Deutsch also provided FF&E selections, including furniture, artwork, accessories, lighting, finishes, and design element development. 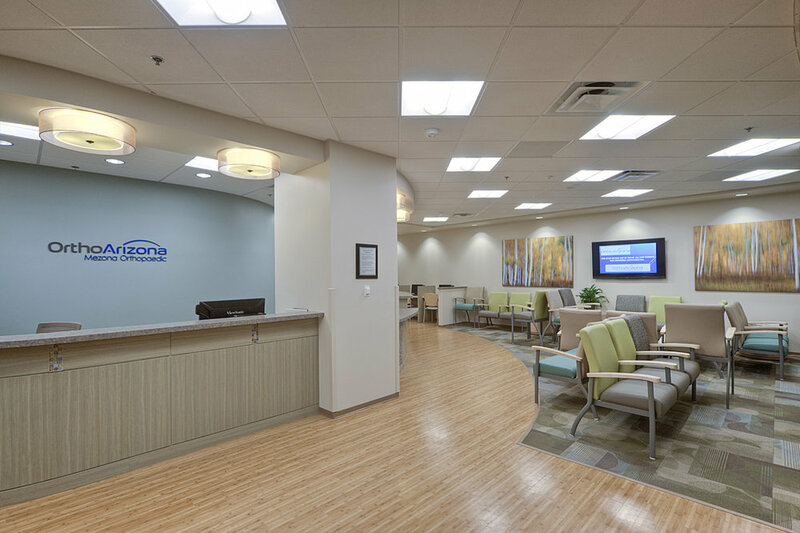 Deutsch Architecture Group provided interior architecture design and project management services for a 4,500 SF podiatry office within an existing gray shell building. Deutsch’s services included construction documents, finish and material selection and specification. 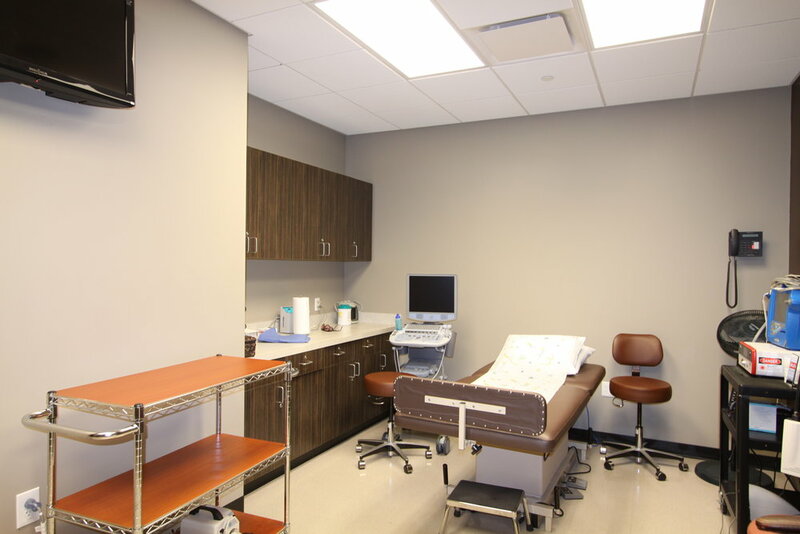 Spaces include: lobby/waiting area, doctor’s executive offices, exam rooms and procedure room. Located within the award-winning Presidio office/medical office building, Prime Lending is a national financial corporation specializing in residential and commercial loans. 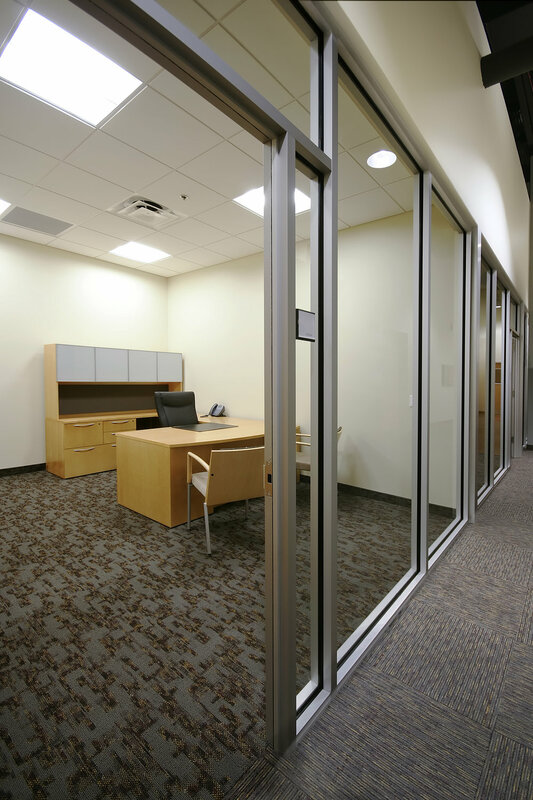 Deutsch provided space planning, construction documents, and construction administration services. Permit was received upon first review to meet the client’s expedited schedule. Deutsch provided interior architecture design and project management services for this provider of global satellite voice and data communications solutions. A high-security facility, the facility is restricted to two pass-carded corridors at the major conferencing areas and break/restroom areas. 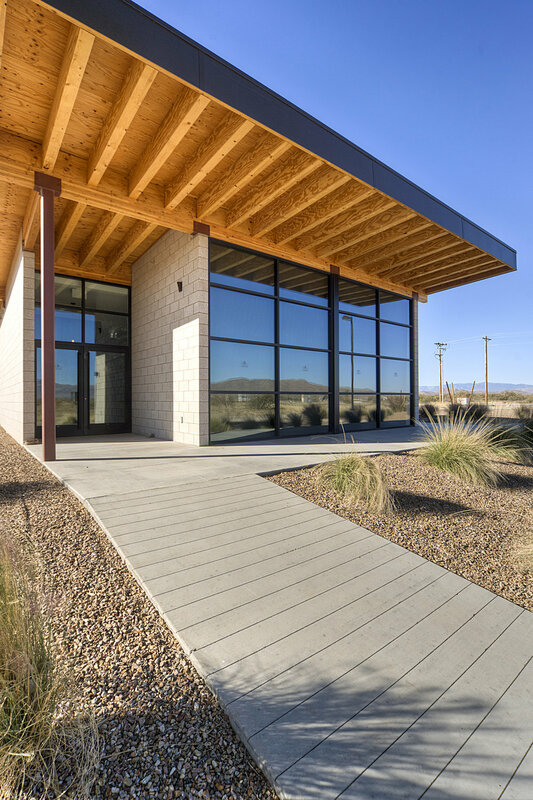 The project includes interior improvements of a single story commercial shell building within the prestigious ASU Research Park. A "home away from home" design includes a warm, contemporary style which is seen throughout to radiate ambiance that encourages gatherings for both relaxing during the work day, casual work-related meetings, and executive level conference spaces. Sustainably designed 65,000 SF, two-story, tenant improvement project in an existing shell building. 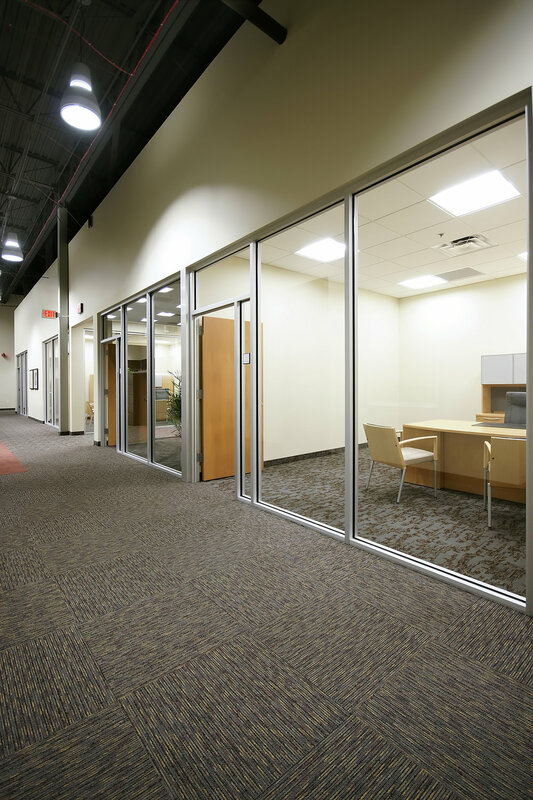 Components included progressive office spaces, a training room, breakroom, conference rooms, server room with walker duct service to furniture systems, coffee bars, informal meeting area, showers, and future expansion space. 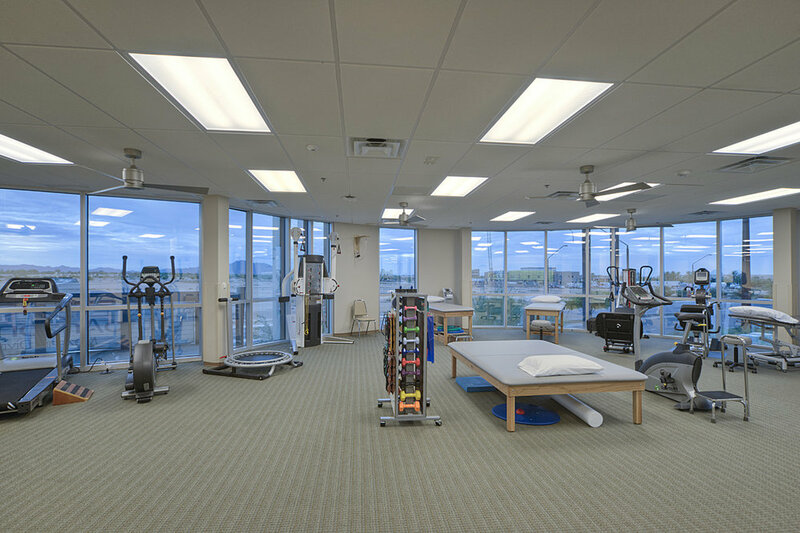 Synergy Rehabilitation & Wellness Center is a 4,000 SF physical therapy office that serves those in need of physical therapy with three exam rooms, a physical therapy open area/lounge, as well as four physician’s offices. 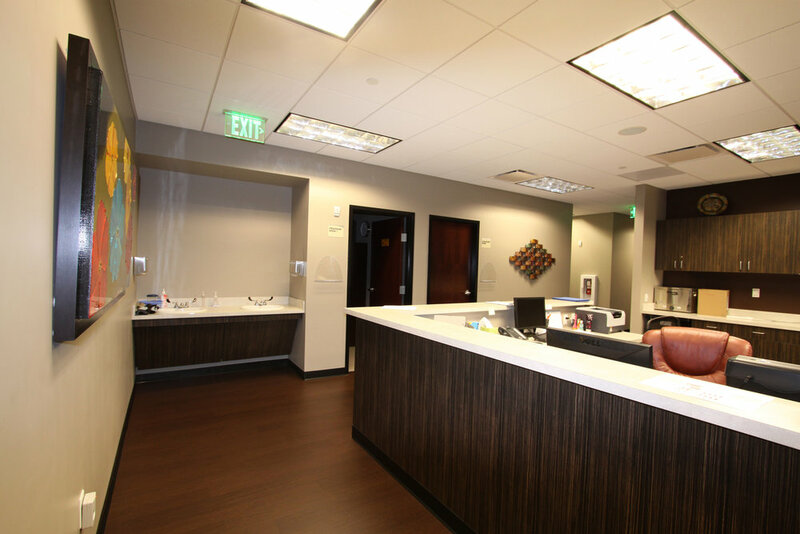 Deutsch provided design layouts as well as furniture, equipment, lighting, and interior layouts for Synergy Rehabilitation & Wellness Center to help Dr. Quang and associates realize their ambitions towards their ideal office environment. 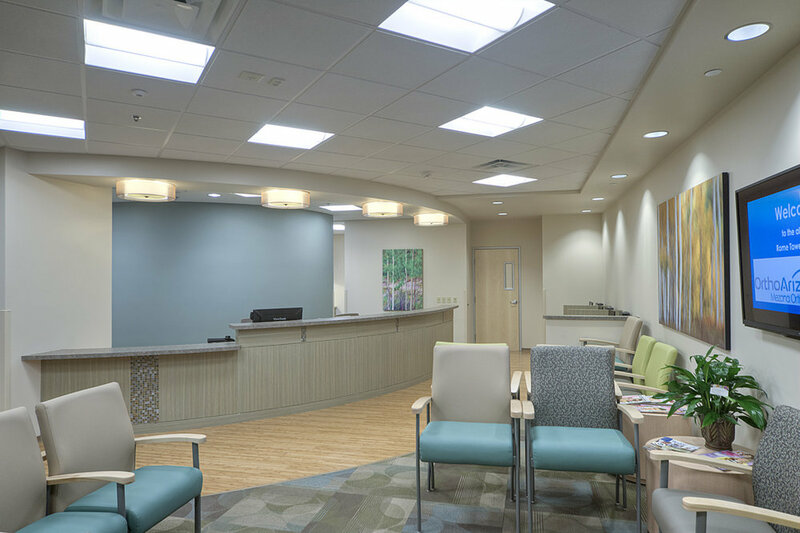 Deutsch Architecture Group provided the tenant improvements plans and interior design services to fit within Scottsdale Healthcare standards for this 5,000 SF infusion center. This medical office building build-out with exterior courtyards was built to hospital grade finish standards. 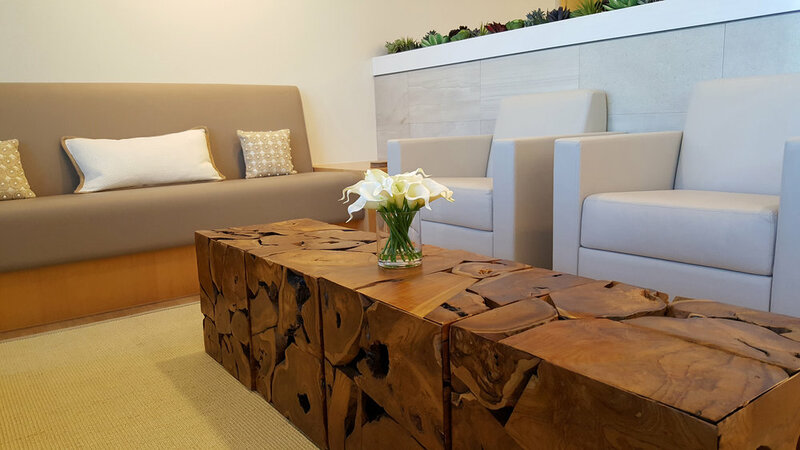 Deutsch provided space planning and interior design services for this specialized medical office building. Surgeons specialize in sports medicine, joint replacement, arthroscopy, fractures, arthritis and general orthopedic conditions for adult and pediatric patients. 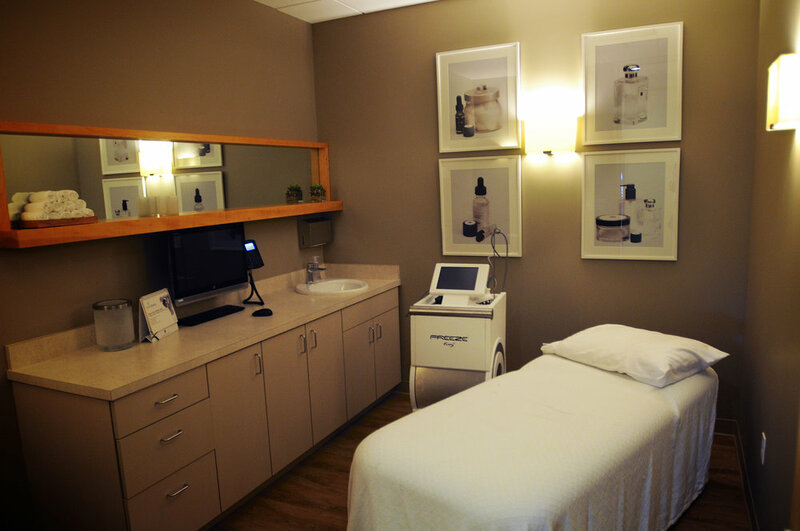 The space included offices, consultation rooms, x-ray room, and fitness area. 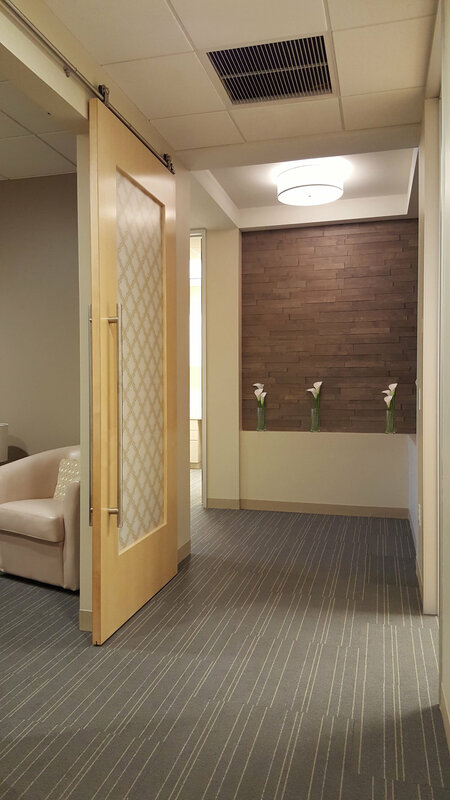 Deutsch provided the Fertility Treatment Center with interior design services and construction documents for 2,476 SF of medical office space. 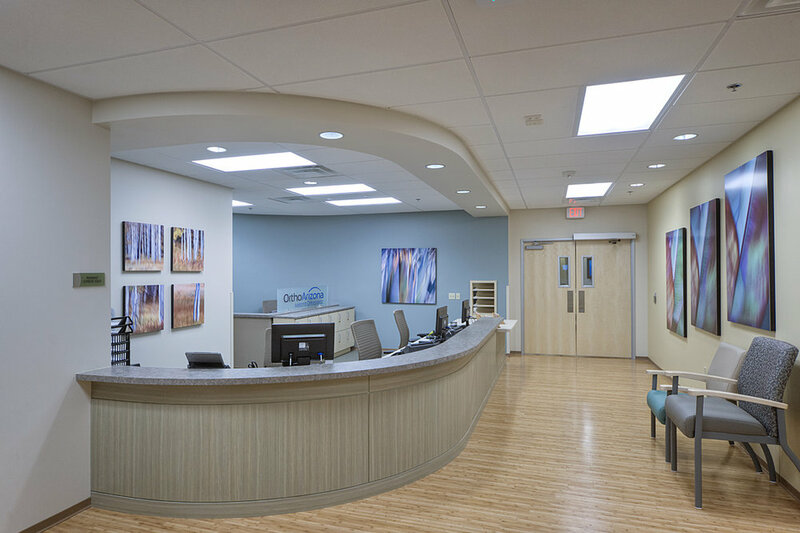 Deutsch Architecture Group provided interior design and construction documentation services for this 5,000 SF medical suite that occupies an existing shell space. This vascular physician was one of the first suites to be built off the main corridor in this new speculative medical facility. The impression of this suite and the finishes utilized will set the tone for the remainder of the suites and tenants. 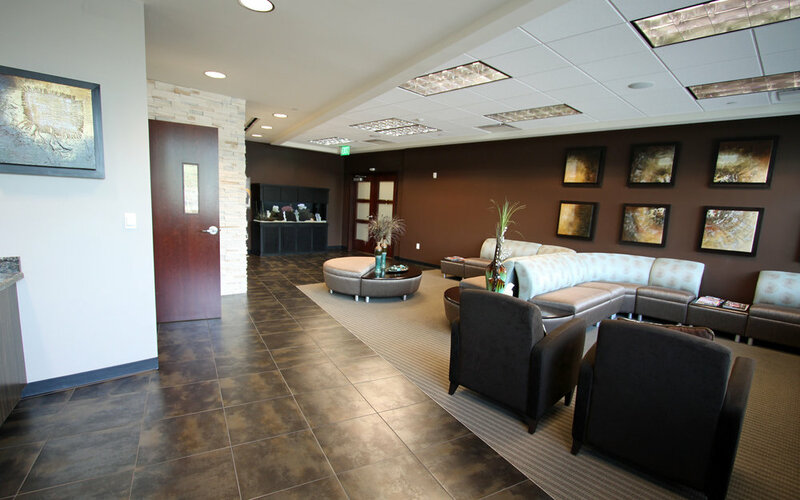 Deutsch provided design, construction documents, and construction administration for new private practice, plastic surgery office in shell, multi-tenant building. 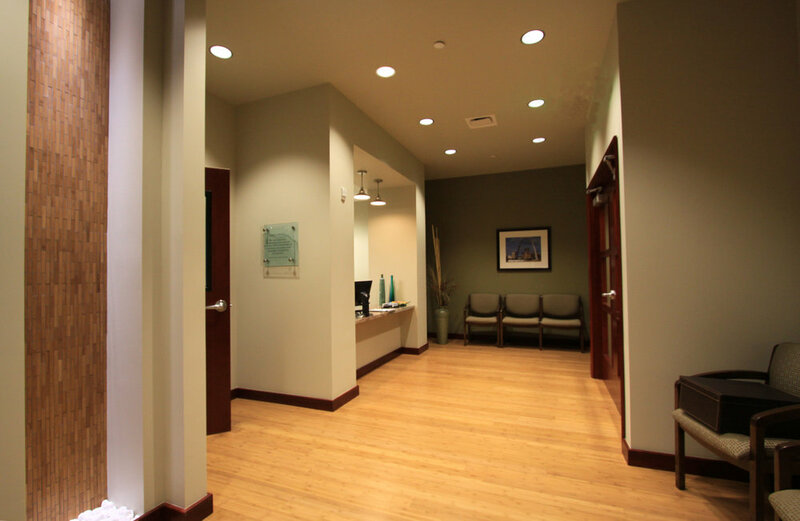 Programming included reception, offices, procedure room, exam rooms, aesthetics room, nurse injection room, laser room, and a dedicated exterior entrance. This CMAR project consists of a 75,000 SF, three-story, office building for the FreeLife Corporation. Ground floor includes laboratory testing quality assurance area as well as retail space. The second floor includes offices and executive suites. Deutsch provided full architectural, interior architecture, interior design, mechanical, plumbing, and electrical engineering services to FreeLife International. This project was awarded LEED-Silver Certification. 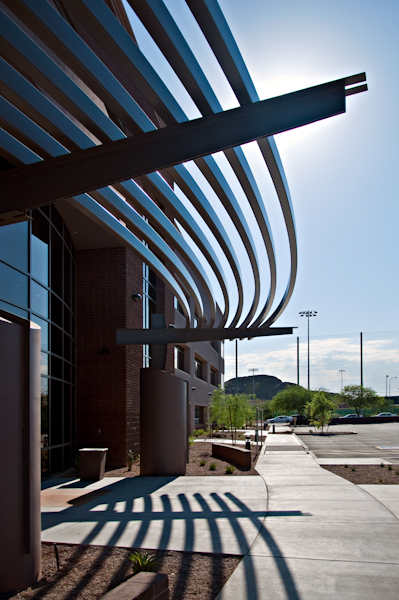 Deutsch provided design for the tenant improvements for this outpatient surgical center within Scottsdale Healthcare’s Shea Campus. 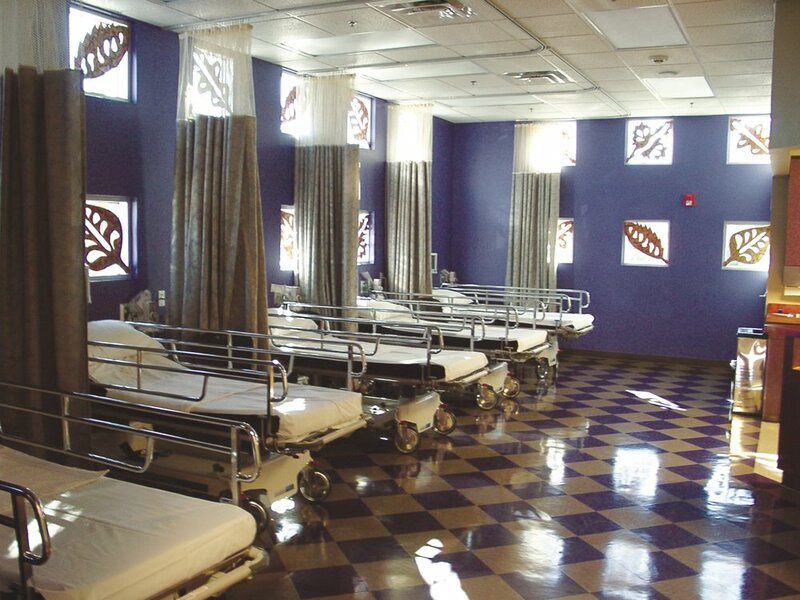 The center is used primarily for endoscopy procedures and is built to hospital standards, including medical gases and specified finishes in the operating and procedure rooms. Deutsch turned an existing distribution warehouse building into a state-of-the-art environmentally friendly paint manufacturing facility and corporate office facility for Dunn-Edwards. The main objective for this award-winning project was to create a blank canvas for this lighting design firm. Free from visual distraction, the design allows the lighting effects to be the focus. The open volume, clean forms, and simple palette of materials create dramatic impact with maximum flexibility. 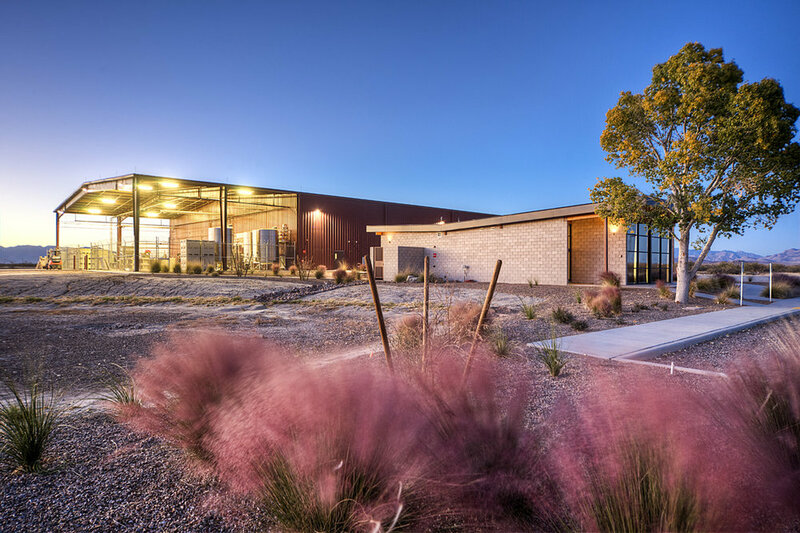 Aridus Wine Company is a family-owned custom crush winery located in the heart of Southeastern Arizona. It is one of the largest winery facilities in the state, where it houses state of the art wine making equipment. 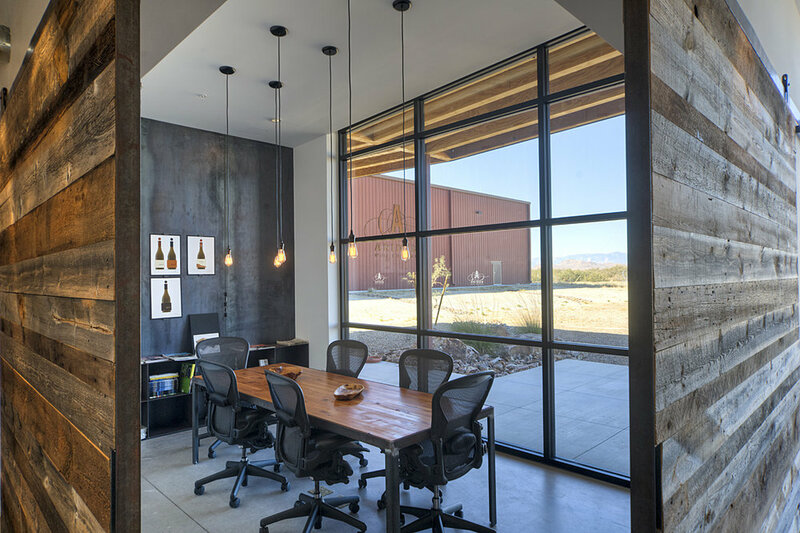 Deutsch provided architectural design services for a wine tasting room, a warehouse, offices and conference room for wine company. The 17.3 acres parcel currently has an existing 25,000 SF pre-engineered building, which is currently being renovated as the main production building. Within this building structure a 6,200 SF area will be designated for the "Crush Pad". The fermentation process is done in a 4,075 SF room housing permanent and portable fermentation tanks varying in size from 350 gallons up to 4,000 gallon tanks. Total capacity of fermentation tanks is anticipated to be approximately 30,000 gallons. The 9,500 SF "Barrel Room" is then used to store the product and holds 1,200 barrels. From here the wine is processed in a 4,100 SF Bottling Room where it is packaged and loaded onto trucks for delivery to the customer. 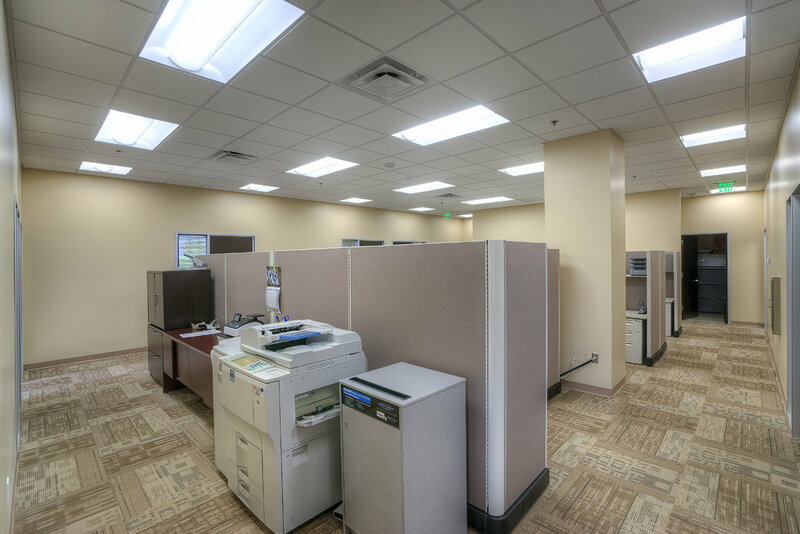 In addition the production building, a new 1,637 SF single story administrative office building was constructed to house offices, a break room, laboratory, conference room and restrooms.